Provide comfort for the family of Harley Van Horssen with a meaningful gesture of sympathy. 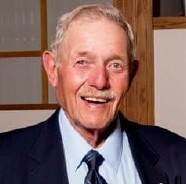 Harley Gene Van Horssen, 77, of Harrison, SD passed away Saturday, March 2, 2019 at Platte Health Center Avera after a brief but courageous battle with cancer all the while maintaining his kind heart and sense of humor. Funeral Services are 10:30 A.M. Thursday, March 7, 2019 at the New Holland Christian Reformed Church. A Committal Service with Military Honors will follow at the New Holland Cemetery. Visitation will be held from 5:00 – 7:00 P.M. Wednesday, March 6, 2019 at Mount Funeral Home in Platte with a 7:00 P.M. Prayer Service. Harley Gene Van Horssen was born on April 7, 1941 to Henry and Fannie (Breukelman) Van Horssen in Geddes, SD. He attended New Holland Christian Grade School and Dakota Christian High School, graduating in 1959. He went on to serve his country in the US Army from November of 1963 – November of 1965. On August 4, 1967, Harley was united in marriage to Vonnie Feenstra at the New Holland Christian Reformed Church. During his career, Harley managed and owned the Platte Livestock Market; owned and operated a gravel business; and worked for AMPI as a bulk milk truck driver for 22 years. Upon retiring from AMPI, he drove gravel truck for Van Zee Gravel and took great pride in maintaining the church lawn in New Holland. A lifelong member of the New Holland Christian Reformed Church, Harley served as both an Elder and Deacon, was a School Board Member for the New Holland Christian Grade School; and up until the time of his death, was a Clark Township Board Member. He was also a member of Everson-Beukelman American Legion Post #274 of Corsica, SD. Harley took up scroll sawing upon retirement and blessed many with his beautiful works. He also enjoyed gardening and spending time with family and friends – especially coffee time with the gang at the New Holland Store. Grateful for having shared in Harley’s life: his wife over 51 years, Vonnie Van Horssen of Harrison, SD; three daughters: Tonya (Alan) Weg of Platte, SD, Tricia Van Horssen of Fort Collins, CO and Tara (Jarren) Kuipers of Cody, WY; two grandchildren: Jessica (Casey) Brown and Tyler Weg (fiancé, Savannah Boltjes); two step-sisters: Pat (Gary) Vanderpol of Harrison, SD and Jeanette (Tony) VanMaanen of Eunice, NM; a brother-in-law, Gord (Betty) Feenstra of Corsica, SD; four sisters-in-law: Glennys Feenstra of Corsica, SD, Dee (Keith) Bordewyk of Fort Collins, CO, Evie (Howard) Munneke of Corsica, SD and Eunice (Jim) Stegner of Fort Collins, CO; along with many nieces, nephews, cousins and friends. Harley was preceded in death by his parents, Henry and Fannie Van Horssen; two step-mothers: Johanna Tegethoff and Freda Davidson; parents-in-law, Henry and Fannie Feenstra; two brothers-in-law: Gerald Feenstra and John Feenstra; a sister-in-law, Sylvia Feenstra; and a step-nephew, Tom Vanderpol. In lieu of flowers, memorials in Harley’s honor may be directed to: Dakota Christian School, 37614 SD Hwy 44, Corsica, SD 57328 or New Holland CRC, PO Box 3, New Holland, SD 57364. 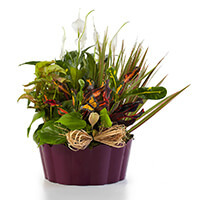 To send flowers in memory of Harley Gene Van Horssen, please visit our Heartfelt Sympathies Store. So sorry for your loss. I will always remember the first time I met Harley. I shook his hand, apologized for staring and told him he reminded me of an actor. Without skipping a beat he said "Well yes! I was an actor!" Later on I realized it was Clark Gable whom he reminded me of. Condolences to all of you. Our deepest sympathy to you and your family. We so wanted to come for the funeral, but with weather conditions as they are here, we don't dare to leave. Hope to see this summer. Rod and Mary purchased the Plants-A-Plenty for the family of Harley Van Horssen. On what turned out to be Harley's last birthday I asked him in the store if Vonnie was giving him anything special for his birthday. He said she was cooking supper..."Hot tongue and cold shoulder". Will never forget that quick comeback. Prayers to Vonnie and the girls. I will always remember Harley for his smile and happiness at all times. Prayers and sympathy to Vonnie, Tara, and the rest of the family. You had a wonderful husband and dad.